My first editorial in The Boston Globe! For the past couple of months, the work I’ve done at the Boston Globe has been focused on op-eds and contributing to discussions about upcoming editorials. Last week, I finally got the chance to write own first editorial! For those of you who might not have followed the news story the editorial relates to – Fetullah Gulen is the leader of a movement from Turkey that preaches moderate Islam and encourages universal access to education, an active civil society and peace. Gulen’s activities are mainly focused on countries and communities that have a significant Muslim community, and he would probably not be featured in US news outlets were it not for his particular relationship to the current president of Turkey, Recep Tayyip Erdogan. Erdogan has featured heavily in the coverage of the murder of Saudi journalist Jamal Khashoggi at his country’s embassy in Istanbul. The Turkish government was the only reliable source of information on what occurred in the embassy, and their information fed the need of the US public to understand what had actually taken place – especially since the Saudi government, who we now know was directly involved in his killing, was only releasing limited and ultimately false information. This put Erdogan in a favorable position with regard to the US, in a position where they could perhaps ask for a favor from the Trump administration in return for his role in uncovering the circumstances of the murder (at the time when the editorial was released, many outlets believed that President Trump also wanted Turkey to stop applying pressure on Saudi by releasing more and more information). This is where we go back to Gulen, mentioned earlier in the blog. Now, Gulen and Erdogan used to be very close, and it is even believed that Gulen helped Erdogan rise to power in the late 90s and early 2000s. Unlike the previous governments in Turkey that advocated for strict secularism, Erdogan thought that the majority Muslim identity of the country should be a part of the political platforms of the main party in Turkey. Erdogan was a good vehicle for Gulen to spread his ideas. However, as Erdogan became increasingly authoritarian over the years and more conservative in his interpretation of the role of Islam in Turkey, Gulen distanced himself from him. Erdogan believes that a series of corruption investigations launched against members of his government in 2013 that led to widespread protests in the country and calls for his resignation were supported by Gulen, and this marks the official break in their relationship (although some would say it happened earlier). Also, a failed attempt at a coup in July 2016 was also thought to trace back to Gulen — according to the Erdogan government — and Gulen and his followers are now classified as a terrorist organization. I was aware of all this when I went to the main editorial meeting at the Boston Globe last Monday. One of the board members said that should maybe do an editorial on the most recent request by the Turkish government to extradite Gulen to Turkey. Gulen has been living in Pennsylvania since 1999, in a self-imposed exile, because he knows that if he goes back to Turkey he will face persecution and certain death. I jumped at the opportunity to write the editorial, and since I knew the most about the topic (having covered Gulen’s influence and Erdogan’s pushback in the Balkans). Now, I certainly don’t support Gulen’s ideas in their entirety, but I do believe that the extradition of someone who has legally lived in the US since 1999 without following the necessary procedures – a trial where he is deemed to have committed acts punishable by US law, as the US-Turkish extradition treaty states – is a gross violation of human rights and should not be used by the Trump administration as a way to trade favors with Turkey. 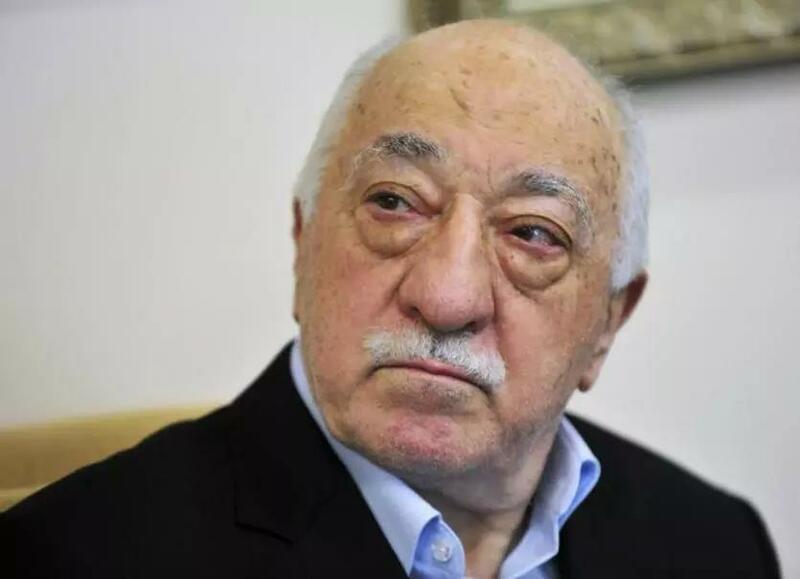 Fethullah Gulen, a Turkish Islamic cleric, has been living in Pennsylvania since the late ‘90s. The Turkish government has requested his extradition. Following the revelation last week by NBC News that the administration was weighing whether to extradite Islamic cleric Fethullah Gulen to Turkey, President Trump said on Saturday that he wasn’t considering it. “No, it’s not under consideration,” Trump told reporters. While he was prepared to do whatever he could for Turkey, “at this point” the administration would not be sending Gulen back to the country he left voluntarily in 1999. Why was the White House even talking about Gulen, who has been living peacefully, and legally, in Pennsylvania? The killing of journalist Jamal Khashoggi , which occured at the Saudi consulate in Istanbul, has handed Turkish president Recep Tayyip Erdogan powerful leverage with both Saudi Arabia and the United States, and there are well-grounded fears that he’s using that leverage to try to achieve his longstanding goal of seizing Gulen. The steady trickle of information Turkey is releasing on the gruesome circumstances of the Oct. 2 murder of Khashoggi has discredited Saudi Arabia’s official interpretation of the story and put mounting pressure on Washington to rethink US-Saudi relations. If the United States extradited Gulen, many believe that the embarrassing disclosures would cease overnight. But any US president who takes American ideals seriously would have insisted that foreign citizens can be extradited only when legal procedures are followed. Extradition cannot be based on friendships, and definitely not to trade realpolitik favors. Gulen’s extradition has been formally requested by Turkey, and refused because there is no legal grounds for the United States to do so. That has led Turkey to consider extralegal means; The Wall Street Journal has reported that former Trump national security adviser Michael Flynn, both during the 2016 campaign and afterward, was involved in negotiating the possible kidnapping of the cleric, who would then be flown out of the country in a private plane. Erdogan has kidnapped his perceived enemies overseas in covert operations before — in Kosovo, Gulen-affiliated teachers were abducted and flown to Turkey. Agreeing to Turkey’s requests, for any reason, would send a terrible message worldwide and undermine the rule of law in the United States. Trump’s assertion that extradition wasn’t under consideration “at this point” left the door chillingly open. But placating authoritarian leaders by handing over their critics should not be under consideration at any point — ever. The funny thing is that we got a response back from the Turkish consulate in Boston within hours of going to print – claiming that we were unjustly “smearing Turkey” and that Turkey was a democratic country. Which is a laughable statement to make, considering that Turkey has jailed hundreds of journalists and thousands of dissenters (and alleged Gulenists) in the past couple of years.